We are property consultant and have started our business since 2003. 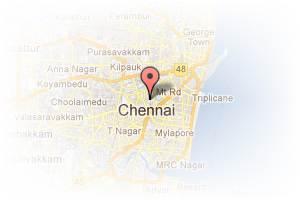 We are doing real estate business in and around chennai and have registered major online properties websites. We are dealing with major property types- Apartment-Flats, residential plots, duplex houses, commercial properties, individual villas buying and selling business and rental flats and individual houses and dealing only approved plots and flats. We arrange home loan also to our customers. 3 bhk Independent house for rent Velachery. Address: Karthikeya puram, Madipakkam, Chennai, Tamil Nadu, India. 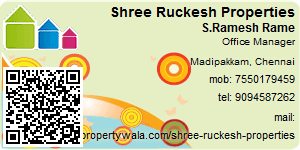 This Broker Profile page for "Shree Ruckesh Properties" has been created by PropertyWala.com. "Shree Ruckesh Properties" is not endorsed by or affiliated with PropertyWala.com. For questions regarding Broker Profiles on PropertyWala.com please contact us.